Creating a vocabulary curriculum from scratch is no easy or quick task. Our 8 year programme teaches hundreds of words, week in week out. 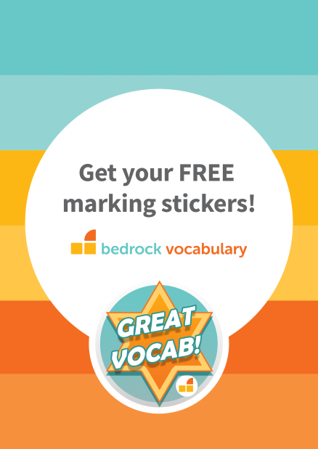 Students discover the words in a variety of fiction and non-fiction texts, which makes Bedrock much more than a vocabulary improvement tool – it guarantees your students read language rich texts regularly. Every word is assessed. Word level data provides schools with a comprehensive understanding of the words individuals, classes, year groups or even the whole school, still need to learn. Each lesson takes approximately 20 minutes to complete. Each block takes one academic year.